SCVHistory.com | Early California | Booklet: Yesterdays of Los Angeles | Howard Automobile Co., Publisher, ~1927. 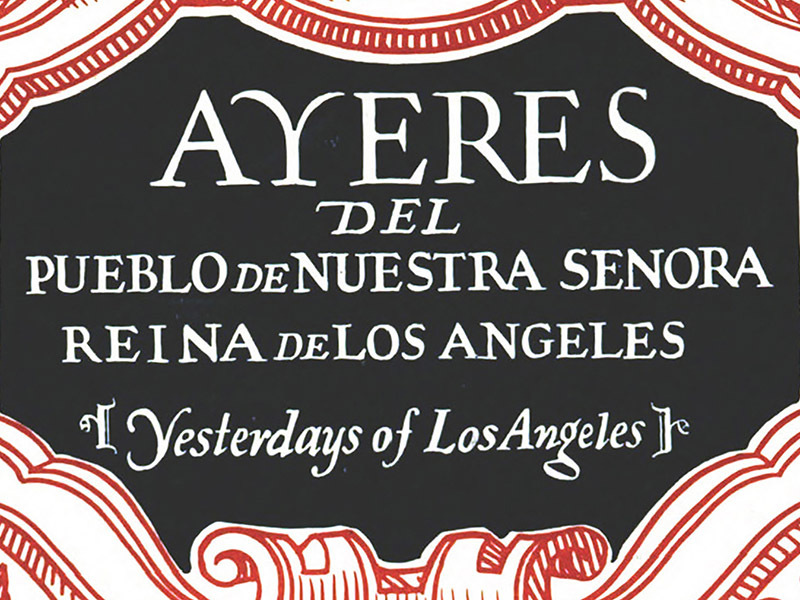 Ayeres del Pueblo de Nuestra Señora Reina de Los Angeles. Howard Automobile Company of Los Angeles, n.d. (~1927). In the rush of modern Los Angeles we hurry by, perhaps unknowing, those historic spots with which are associated the early events that brought government and great civic growth. That the motorists, in seeking new objectives of interest, may enjoy moments of retrospect and better appreciate the significance of places where Los Angeles' colorful groundwork was laid, the Howard Automobile Company of Los Angeles presents this booklet. The historical data from which most of the pages are written, was supplied by Mrs. A.C. Forbes, chairman of the Committee on Landmarks of the Historical Society of Southern California and author of the splen did books, "California Missions and Land Marks" and "Mission Tales the Days of the Dons." Courtesy of Stan Walker. Download individual pages here.